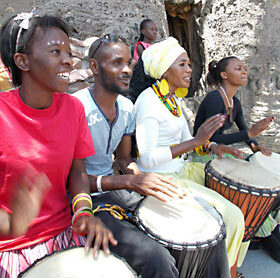 gives performances of African dance for conferences, events, parties and weddings. 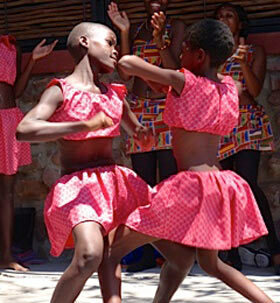 The Group consists of highly trained and experienced young dancers ranging in age from 5 to 15. Omaleshe’s unique approach and style has been developed through the artistic direction and leadership of Sisi, the group’s founder. 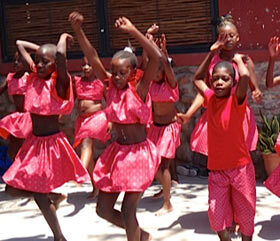 Omaleshe is based in Namibia and focuses on the traditional dances of Namibia and Southern Africa. Omaleshe have been performing at international, national and local events for ten years and are well known within Namibia. Omaleshe have performed before the President, Prime Minister, Ministers, Governors, Ambassadors and other national and foreign dignatories.